Today, I'll share seven activities you can do using stickers! My kids adore using stickers. 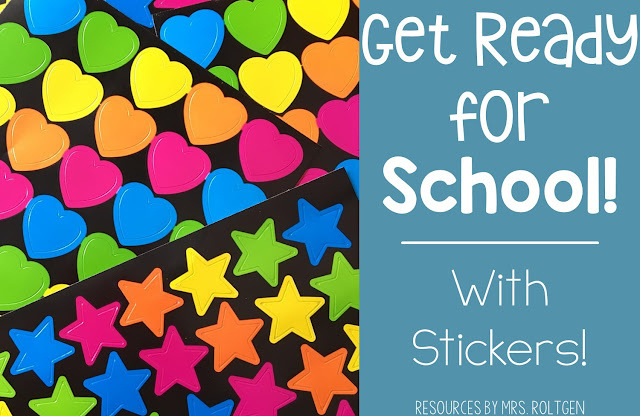 Not only do stickers provide excellent fine motor practice, but they can also be customized to your child's interests. Most of the stickers around my house right now are Frozen- or Doc McStuffins-themed, and we use them in all sorts of ways! Before sharing the activities, I want you to know that any printables referenced or shown in the photos are available in a free download that I'll share at the end of the post! 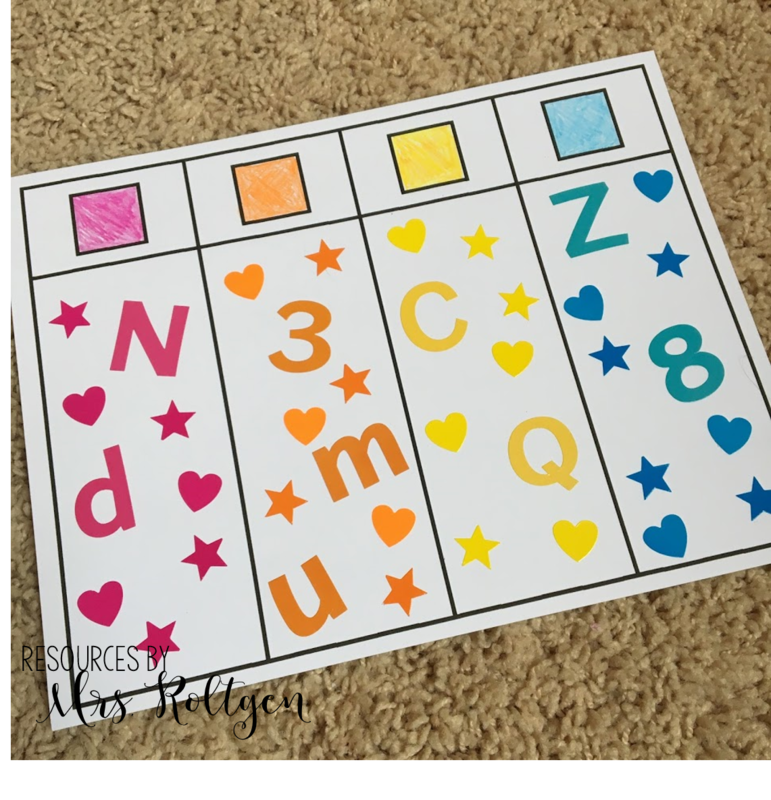 Memory is one of those games that can be adapted to any skill you're practicing, and it's a motivating way to practice rote learning skills like letter and number identification. My kids have themed memory games from the store that have characters printed on the reverse side. You can do this DIY-style with stickers! You can print the memory card templates that I'm providing in the download, or cut up index cards and write letters on them. Then, add stickers on the blank side of the cards. Feel free to use your child's favorite character, and let your child put the stickers on! You can have your child match uppercase-to-uppercase, lowercase-to-lowercase, or uppercase-to-lowercase. It's also important to note that you do not have to use all of the cards! 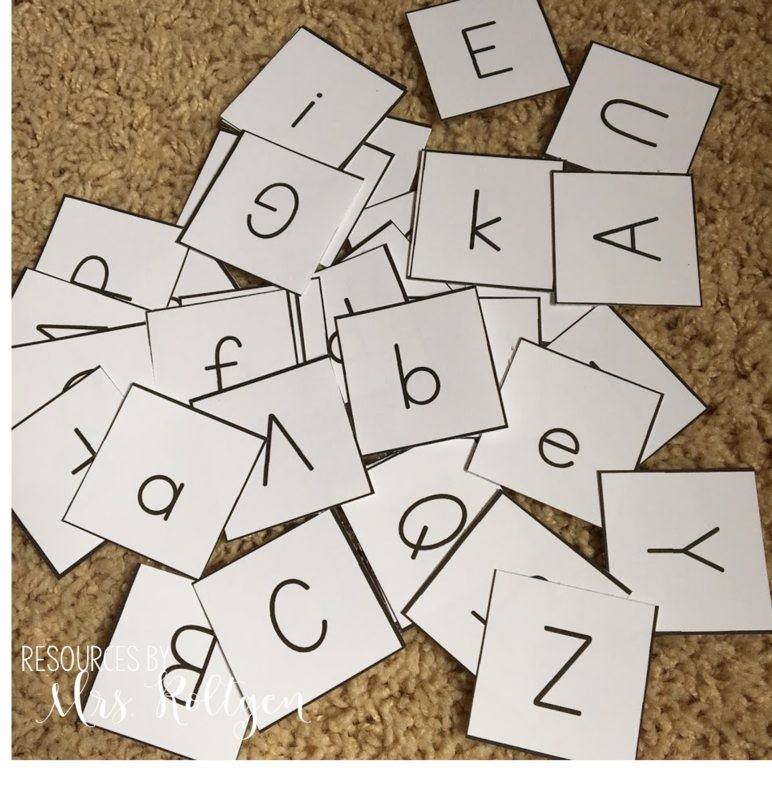 If your child is just beginning to recognize letters, begin with the letters in his or her name, and then slowly increase the number of letters you add. 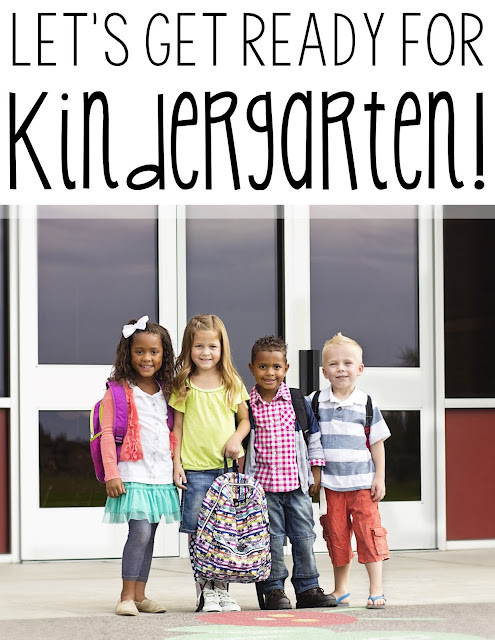 Most children learn the letters in their name before learning many other letters, so this is a great way to personalize the learning experience and build confidence! Knowing how to use scissors appropriately is a huge skill for incoming kindergarteners! Taking time to teach scissor skills at home will help your child immensely in the school setting. 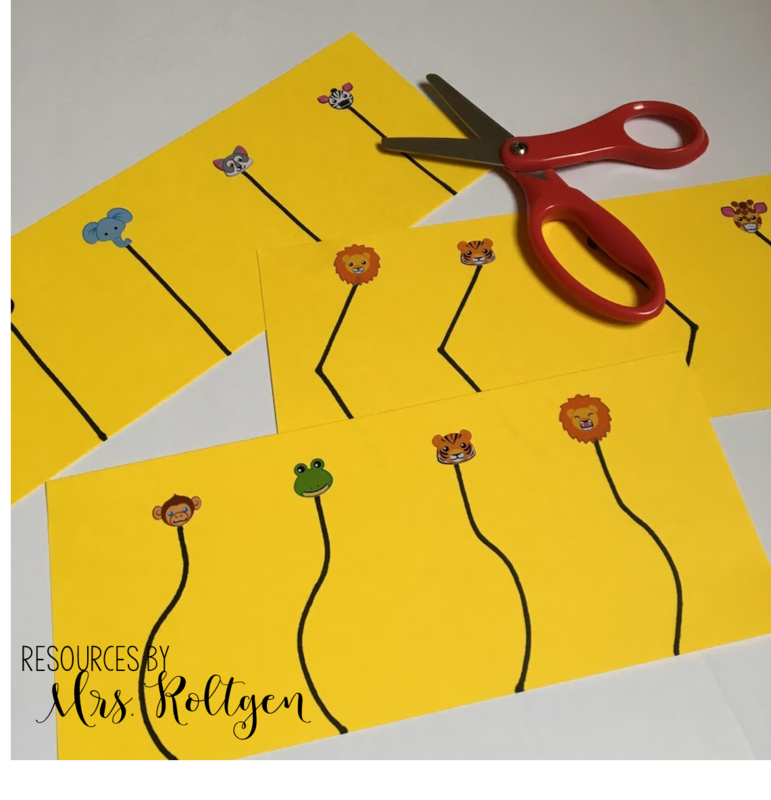 A motivating way to practice cutting on lines is to make these cutting cards. 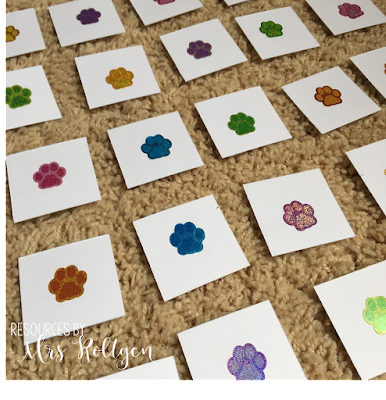 Simply cut a piece of paper into thirds and place a row of stickers on each piece. Then, draw your own lines starting from the edge of the paper to each sticker. Start simple by making straight lines and gradually make them more difficult as your child progresses. You can make slanted lines, slightly curvy lines, jagged lines, and more. *I always use rounded-tip scissors at this age. To prepare this activity, you'll need to write your child's name in large letters on a piece of paper. Be sure to use an uppercase letter for the first letter and lowercase letters for the remaining letters. Then, provide your child with small stickers. 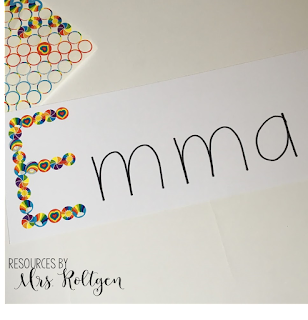 I LOVE these small circle stickers for this activity! When your child is done with the activity, you can cut apart the letters and mix them up to create a name puzzle! 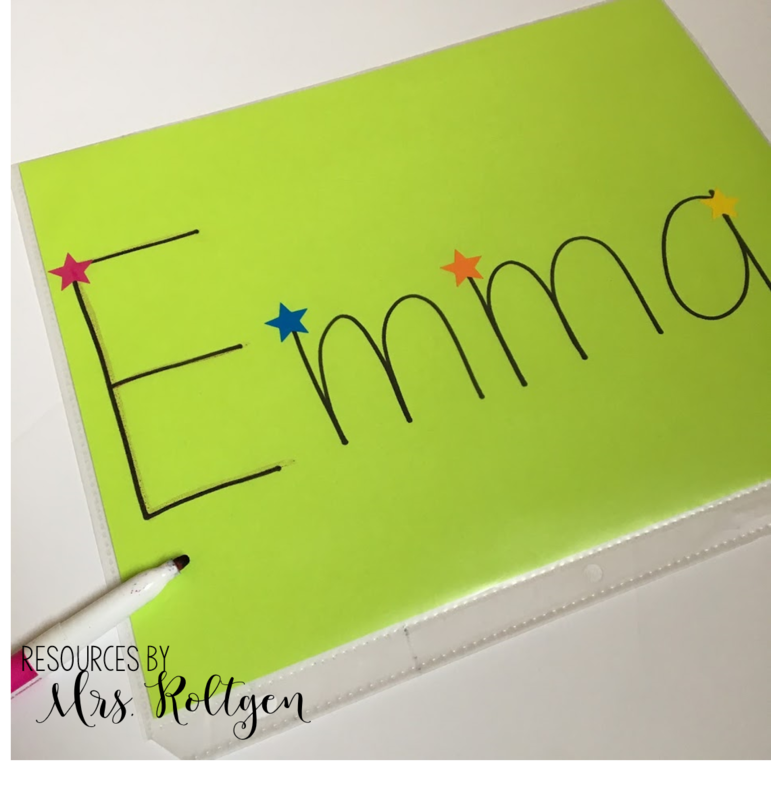 Having the ability to write his or her name is a huge source of confidence for kindergarteners at the beginning of the year. Your child will likely be expected to begin their name with an uppercase letter and write the rest of the letters in lowercase format, so it's a great idea to practice this at home! 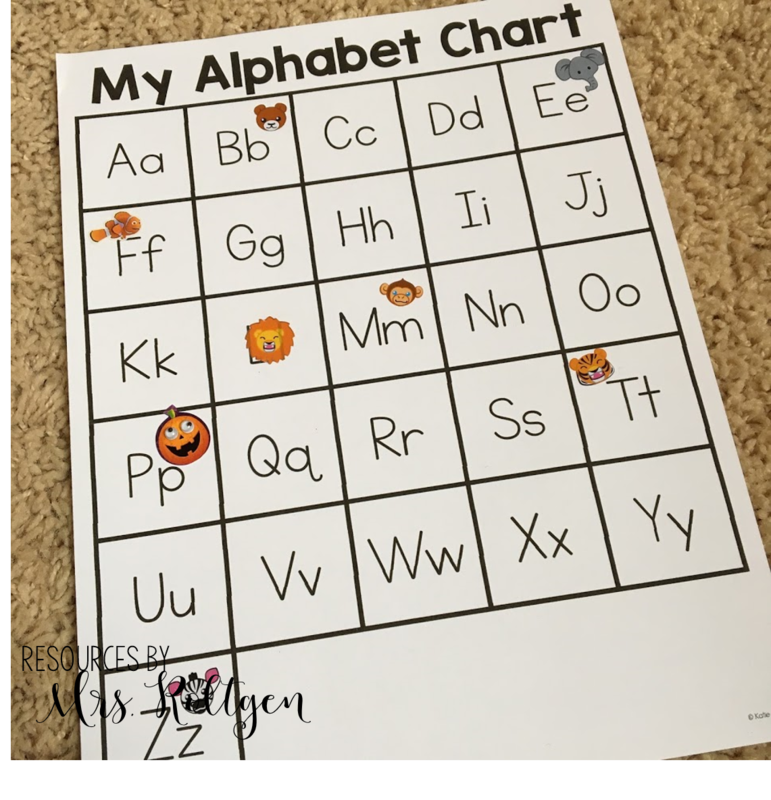 While learning to make letters, it's important that children learn where to begin each letter. We start writing letters at the top, and you can place a small sticker to show where to begin. 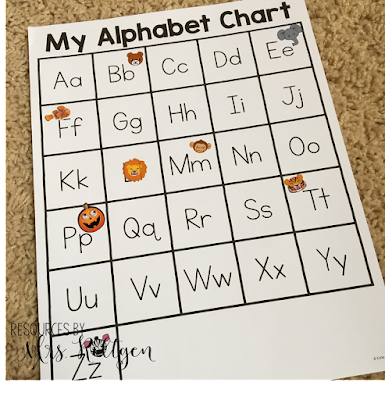 To prepare this activity, write your child's name in the correct uppercase/lowercase format on a piece of paper, place stickers to show him or her where to start, and place the paper into a page protector. Then, your child can use a dry-erase marker and practice over and over again. 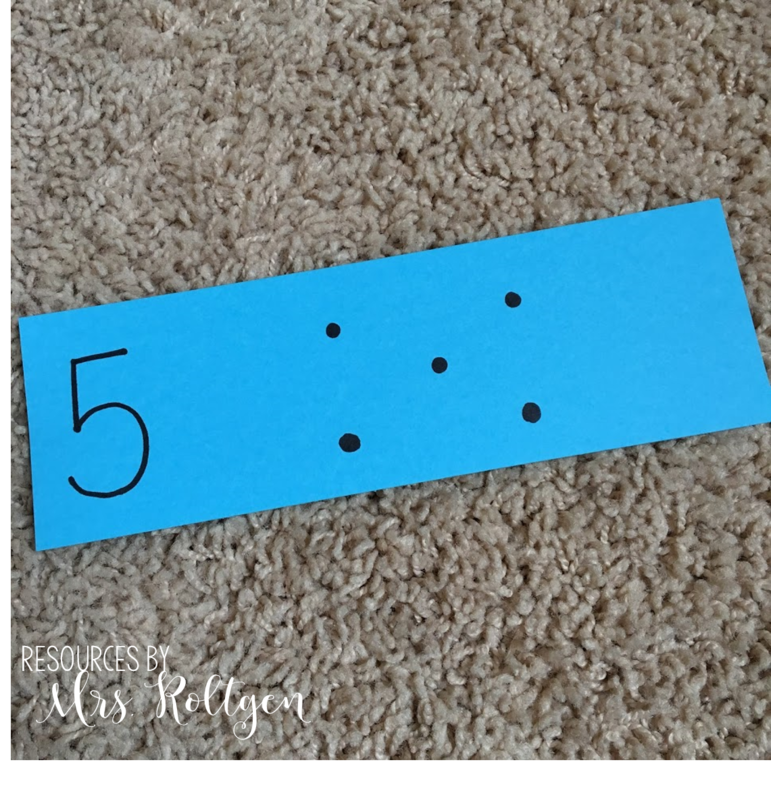 This activity works on the important skill of one-to-one correspondence, which is being able to count objects correctly by saying one number pet object, without re-counting any objects. For this activity, you'll need to cut some pieces of paper or cardstock into rectangles. I just cut each piece horizontally into thirds. Then, on the left-hand side, write a number from 1-10. 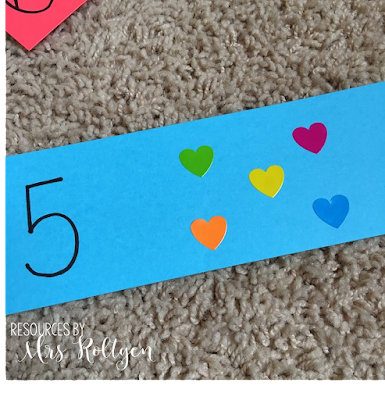 Your child will put stickers on the card to show that number. 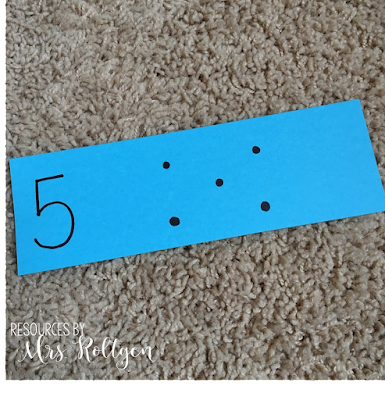 If your child is learning to count, it might help if you draw dots on the card to show how many, and your child can cover the dots with stickers while you help him or her count them! Look at the pictures for an example of this. The last activity I'm sharing today is sorting by color. 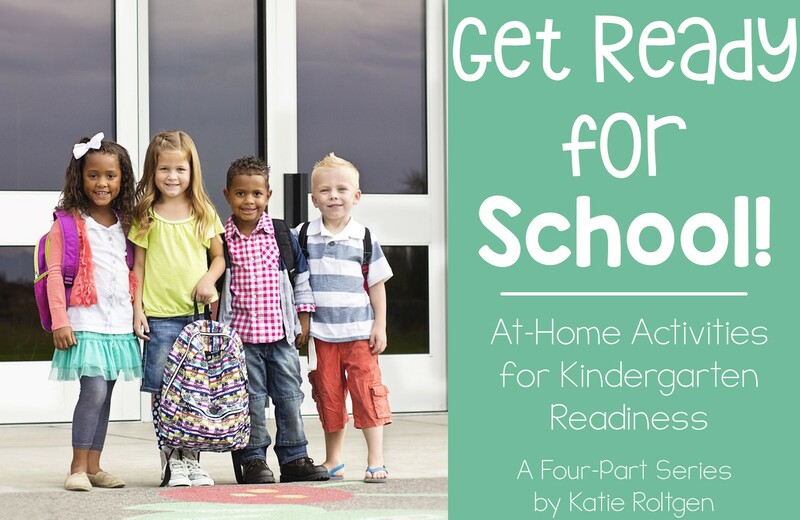 Your child will most likely be doing some kind of sorting activity at the beginning of the kindergarten year. Although I'm suggesting sorting by color, you can also sort by shape and size. In the download, I'm including two options for sorting pages, but you definitely don't have to use them. You can also draw your own grid on a piece of paper. To do this activity, you'll give your child a variety of stickers that are mostly one color. 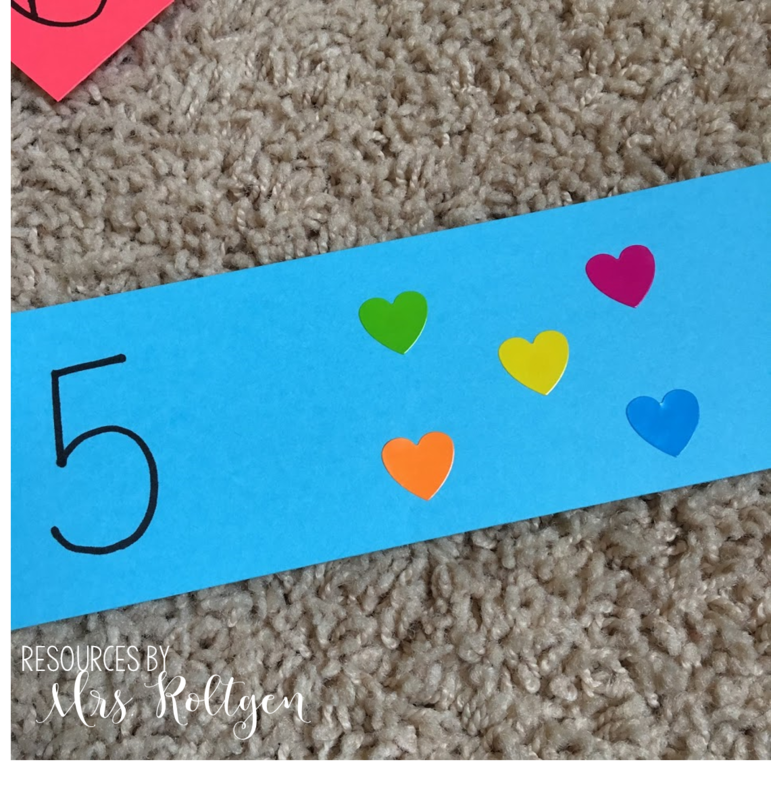 You can do a closed sort where you tell them which colors to sort and where to place them, or do an open sort and allow your child to sort however they choose! This activity is great for using up sticker sheets that only have a couple stickers remaining. 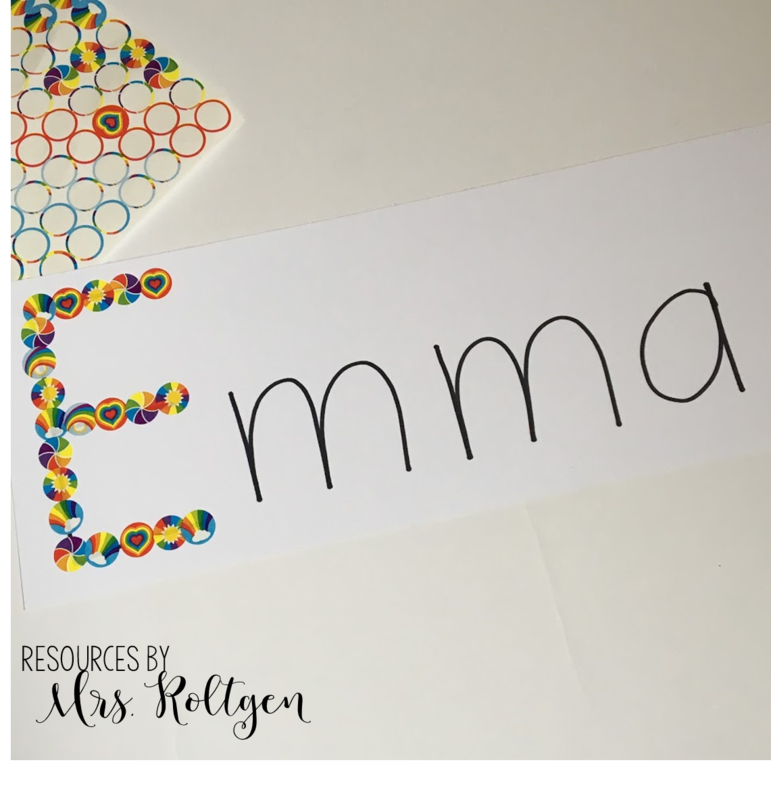 All of the activities from today's post, PLUS all of the other activities I'll be sharing in the next three posts, are available in one FREE download! 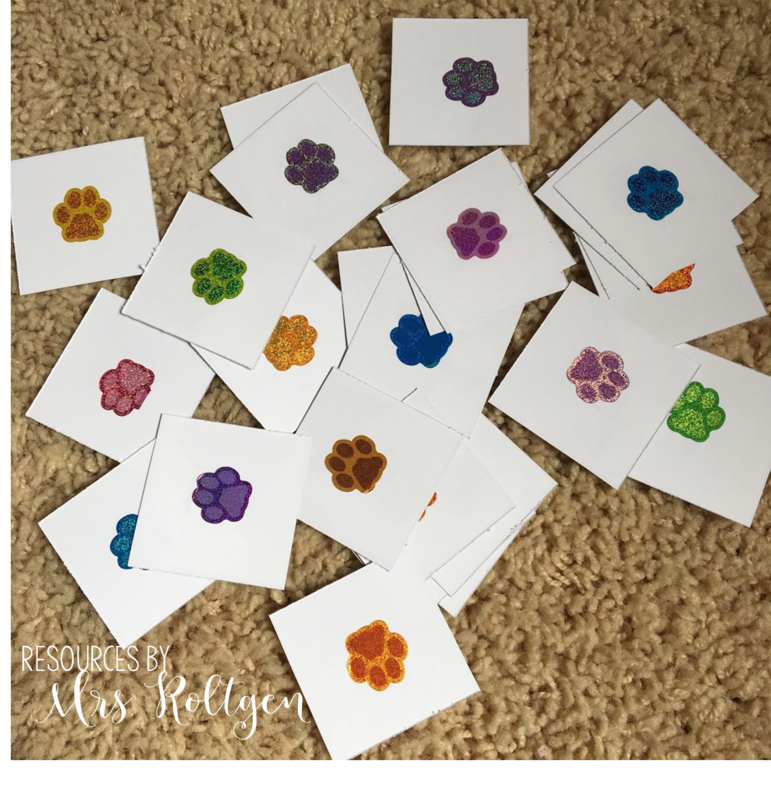 You'll also find the printables shown in the pictures. Click on the image below to download! Part 2 of this series will continue next week!